Uranium increased the most in more than 2 1/2 years after Cameco Corp. moved to temporarily shut its McArthur River mine, the world’s largest source of the nuclear fuel, amid a dispute with workers. The price of U3O8 - a tradable form of uranium - rose 3.2 percent to $32.50 a pound today, the biggest gain since November 2011, data compiled by Bloomberg show. Cameco said Wednesday it started a “safe and orderly” shutdown of McArthur River in Saskatchewan and the nearby Key Lake mill after the United Steelworkers union said a strike will start on Aug. 30. The Canadian company said it doesn’t expect its move to affect 2014 deliveries and that it may draw on other sources of supply such as inventories. McArthur River has the capacity to produce 18 million pounds of uranium a year, or about 10 percent of global demand, Edward Sterck, a London-based analyst at Bank of Montreal, said yesterday in a note to clients. The mine was the world’s largest by production last year, according to the World Nuclear Association. The previous four-year labor contract at MacArthur River expired Dec. 31, according to Cameco. The lockout follows nine months of negotiations and more than 28 face-to-face meetings with the union, Mike Pulak, a USW spokesman, said Wednesday in an e-mail. Pulak and Cameco spokesman Rob Gereghty didn’t immediately return calls for comment. Uranium prices are still 52 percent lower than just before the March 2011 earthquake and tsunami that led to the meltdown of three Japanese reactors and the suspension of the country’s nuclear power plants. 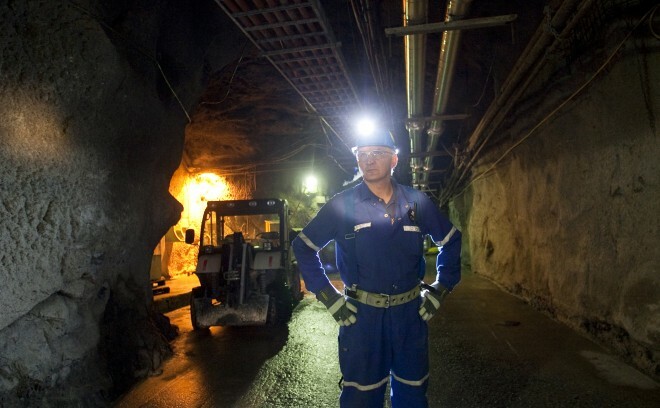 Cameco fell 0.7 per cent to C$21 in Toronto, extending its decline this year to 4.7 per cent. Cameco, based in Saskatoon, Saskatchewan, is the largest uranium producer after Kazakhstan’s KazAtomProm, according to the World Nuclear Association. Very interesting tips shared by you. I really like to read your blogs as they contain very important and informative content. I appreciate your efforts. Cheers. I am very much pleased with the contents you have mentioned. I wanted to thank you for this great article. I enjoyed every little bit part of it and I will be waiting for the new updates. Blog looks very nice. Capture Media and communications Company offering b2b and b2c list services in India, USA and UK. I think best seo, ppc,smo,orm, like all digital marketing services and email database providers in Bangalore, USA,UK and India. Awesome work. Just wanted to drop a comment and say I am new to your blog and really like what I am reading.Thanks for the share. Very great post. I simply stumbled upon your blog and wanted to say that I have really enjoyed browsing your weblog posts. After all I’ll be subscribing on your feed and I am hoping you write again very soon! very informative post for me as I am always looking for new content that can help me and my knowledge grow better. 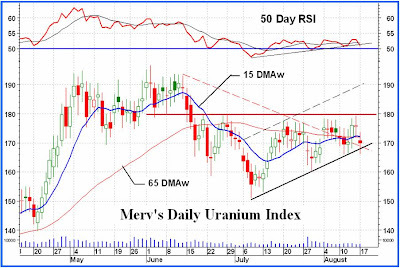 This website is focused on my personal overview of Uranium Mining & Exploration Research, which includes Video's, Interviews, & General Informative Information, on guiding viewers into Investing in the next up & coming Boom Sector " URANIUM "
tturaniuminvest deems that nothing contained herein is intended or shall be deemed to be investment advice, implied or otherwise. Use this information at your own risk. You are strongly advised to check with your broker or investment adviser before activating any investment decisions. No guarantees are made for the accuracy or potential for the information provided herein.